Sea La Vie is located in Ventnor City, NJ. We are a children's boutique and so much more! 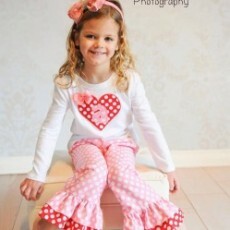 We will carry the owner's clothing lines- Too Too Cute and Abigail Chase, name brands, and items from local crafters. Sizes- Newborn to 16. Boys and girls clothing, toys, baby gifts and accessories. Embroidery and custom children clothing. Sewing classes and so much more!~!